Orion Access Control Commercial and Residential Telephone Entry Systems are typically designed to control access to a driveway gate with the possibility of controlling a pedestrian gate and mail entry doors or secondary access point as well. 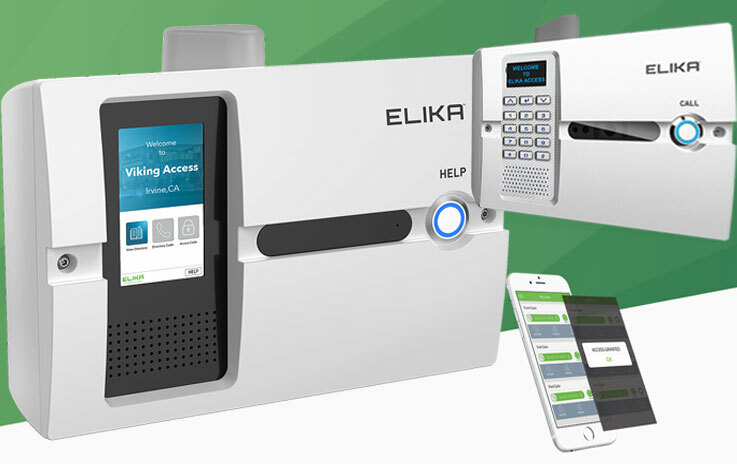 We provide Telephone Entry Systems units that are for use with large residential communities, individual homes that feature the ability to dial multiple phone numbers so they can be suitable ease of authentication and entry. We service and upgrade legacy style telephone entry units that uses the existing phone line of a single residence to cause the phones within that home to ring, the end user can then communicate through the phone and provide access with the push of a button. As we are already in the era wireless telephony. The use of analog land lines for Telephone Entry Systems is a call for concern. Many are experiencing intermittent service delivery. That is why at Orion Access Control Systems you may request for a unit that supports wireless digital telephony, GSM and VoIP and comes packed with a visual phone directory that will allow you to dial different numbers off of the unit, this is good for businesses, homes and small communities that may want to split the cost of the phone service. Orion Access Commercial and Residential Telephone Entry Systems newer style will be installed using cellular service, an ethernet cable, or wifi. The cellular units are convenient because you don’t need to run phone line or worry about the range of wifi, the downside is that you will have to pay monthly for the service which is relatively cheaper than the old dinosaur. Our wifi supported and ethernet Telephone Entry units use the internet via VoIP to make the phone call, so there is no monthly bill to you should you choose to go this route, but you do need to run an ethernet cable or be within range of wifi for the system to work. 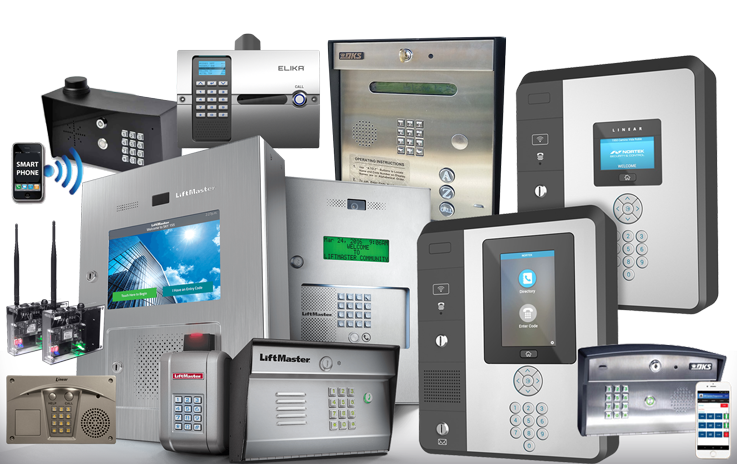 We carry all of the latest products from Linear, Elikar, DoorKing, Liftmaster, Linear, AeGis, Platinum Access, and FAAC.